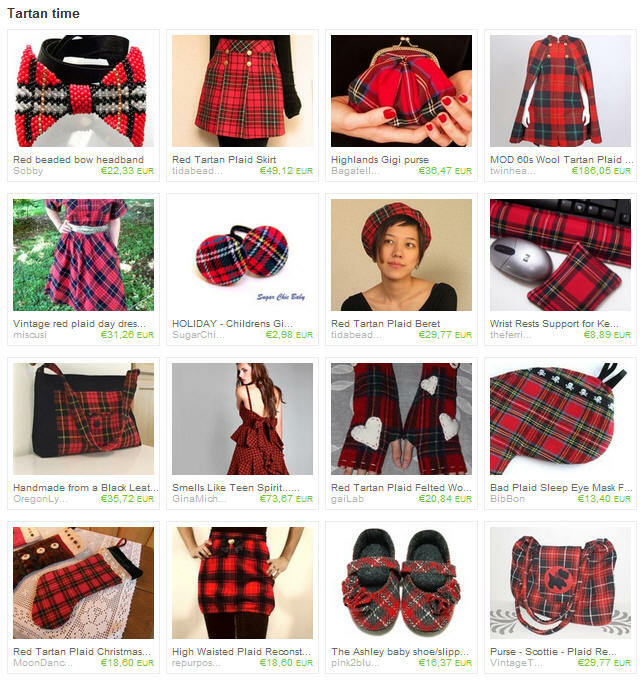 Pipa the Latest: journal of a messy crafter: Tartan time! I've always loved tartan. Maybe it's the little punk hidden inside of me?! These items are really amazing, have a look at their shops on Etsy! And then maybe you can just jump to Etsy Beadweavers blog and vote for your favorite entry in our November Challenge "Holiday Treasures" - voting November 9-15!